I watched The Man in the Iron Mask for the second time five years ago and I enjoyed it. 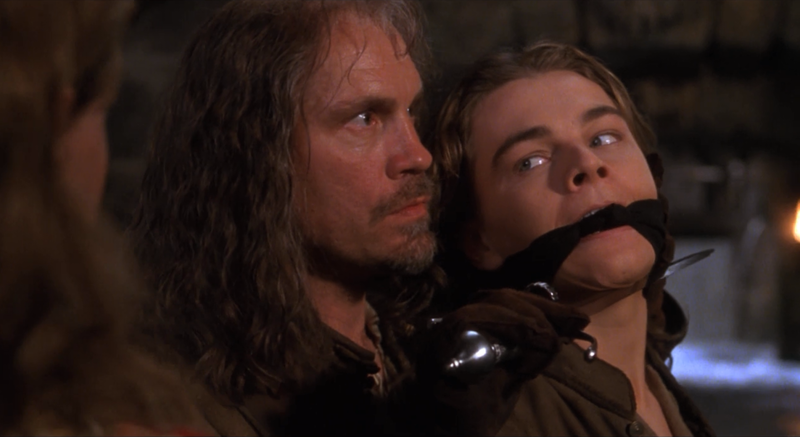 Athos (John Malkovich) holds King Louis XIV (Leonardo DiCaprio) captive. King Louis XIV (Leonardo DiCaprio) has imposed heavy taxes and his people are unhappy. After some story and character building occurs, D'Artagnan (Gabriel Byrne), Aramis (Jeremy Irons), Athos (John Malkovich), and Porthos (Gerard Depardieu) get together to discuss a plot against the king, but D'Artagnan refuses, because he is still a Musketeer, and so must remain loyal to the king. 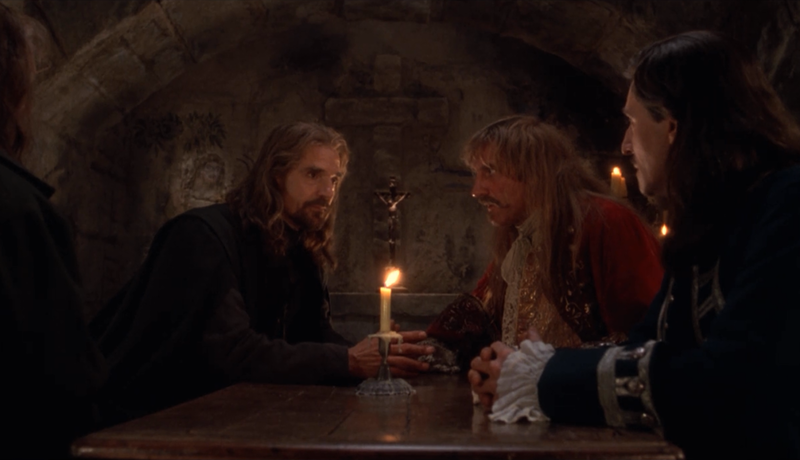 As a result of their meeting, the three remaining men rescue the titular man in the iron mask as a part of a bigger plan to overthrow King Louis. The muskeeteers hold a secret meeting. Athos (barely visible to the left), Aramis (Jeremy Irons), Porthos (Gerard Depardieu), and D'Artagnan (Gabriel Byrne). Want my instant comments on the movie?